We get to know where you’re at in life — what your goals and ambitions are. The more we know about you, the better we’re able to help. It’s crucial to create a financial plan that both protects your present needs and plans for the future in a tax-efficient manner. We are here to help you build a solid financial structure that stands the test of time and grows, building wealth for you and your family. An important aspect of effective wealth management is recognizing change — regulatory updates, a shift in the economy, or changes in your personal situation. 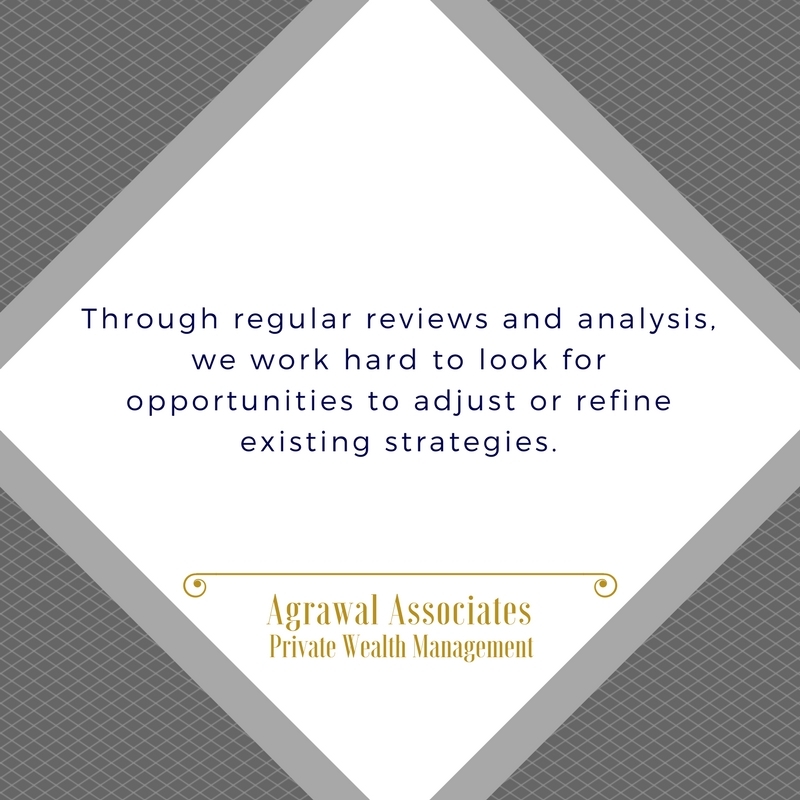 Through regular reviews and analysis, we work hard to stay on top of these vehicles and look for opportunities to adjust or refine existing strategies. Your wealth management strategy is designed to keep you in good financial health in this phase of your life. With an existing plan in place, you’ll have an excellent view of what retirement looks like. Our team will continue to identify opportunities to create a steady stream of tax-efficient income from your investments. And with an eye to the future, we will regularly evaluate your existing life, health and other insurance protection.